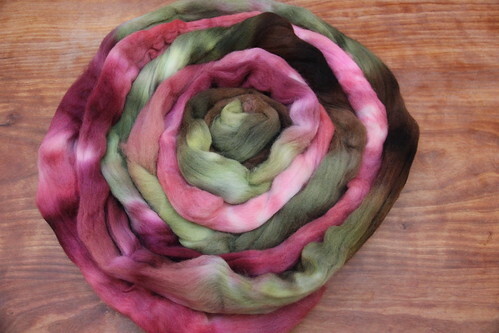 This blog is about to become an all-spinning, all-the-time zone, and for those of you with absolutely no interest in yarn making, I apologize! But Saturday is the first stage of the this year's edition of the Tour de France. Which also means that Saturday is the start of my favoritist -along of all time: the Tour de Fleece. I've been participating in the Tour de Fleece since 2010, and each year I try to set some goals. 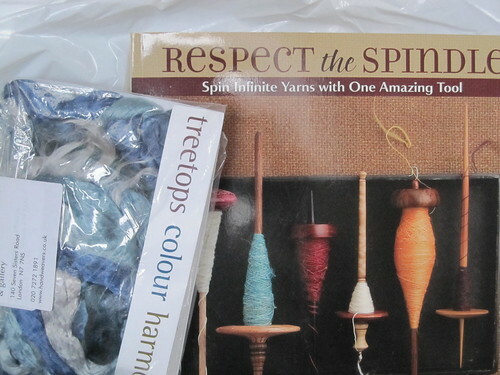 In 2010, I had a list of fibers I wanted to spin. In 2011, my goal was to spin more fiber (measured by weight) then in 2010. 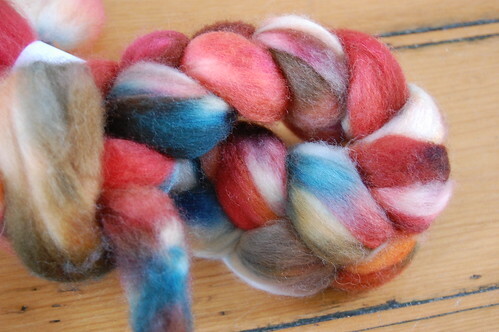 Last year my output was somewhat hampered by the fact that I spent a week actually in the Pyrenees doing spinning of a different sort, so my trend of increasing weight of fiber spun came to a crashing halt. into 6x100 yd skeins of single colored yarns for Brenda's Now in a Minute shawl. I will also (for variation and instant gratification amongst the other goals) spin up some more of my Amy stash. Maybe some Shetland in Tundra? 2) For my other team, Team Craftlit: spin up my "black"* Shetland fleece into a 3-ply sweater yarn. All of the fleece is washed, and last night I drove two hours round trip (and a grand total of 40 miles - thanks London!) to borrow a drum carder. And then I stayed up until midnight playing around with said carder, giving me a lovely sleep-deprived day, but that's a different problem**. 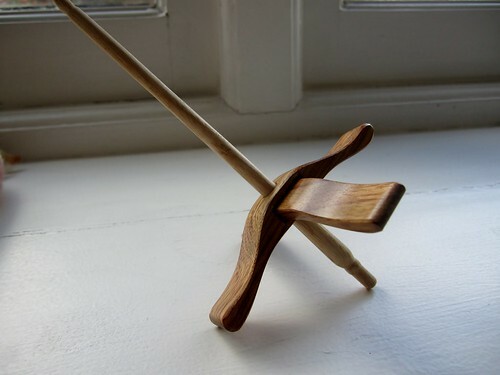 3) also for Team Craftlit: some silk top on my new spindle, as a running around, mobile project. So that's it. Hah. 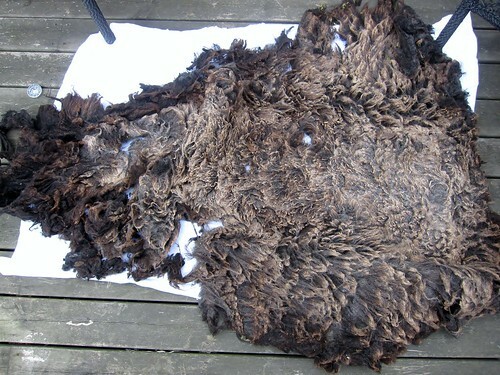 Clearly last year's raw fleece failure experiment wasn't enough to deter me from doing it again this year. Or maybe I've just blocked it out...the drum carder should make things move quite a bit faster then the hand cards. Anyone else have truly ludicrous goals for the Tour de Fleece this year? Or am I the only insane one out here? * I say "black" because after carding a bunch of it, it's really more of a dark, dark brown/grey mix. 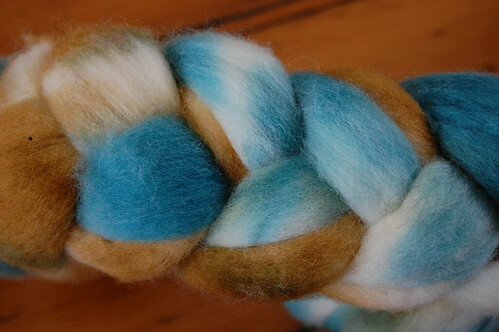 ** My other problem is that now I want to get the white fleece washed up so I can get it carded as well before I have to give the carder back - aargh! Written by porpoise On June 19, 2013 In "Tour de Fleece", "goals", "spinning", "the best laid plans of mice and men"